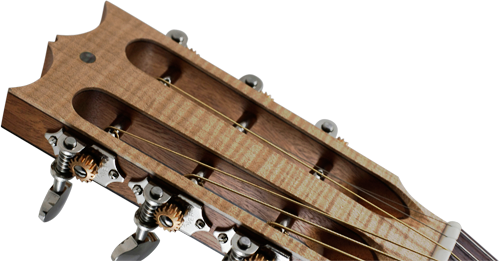 I've decided to make an auditorium acoustic with a flat head stock in recent weeks. I normally go for the slotted head as it gives a better break angle over the nut. This method is a more time-consuming option though, and therefore more costly to make and that obviously has to be passed on to you, the customer.